I was feeling a little spacey this week, so I decided that I needed space nails of some sort. 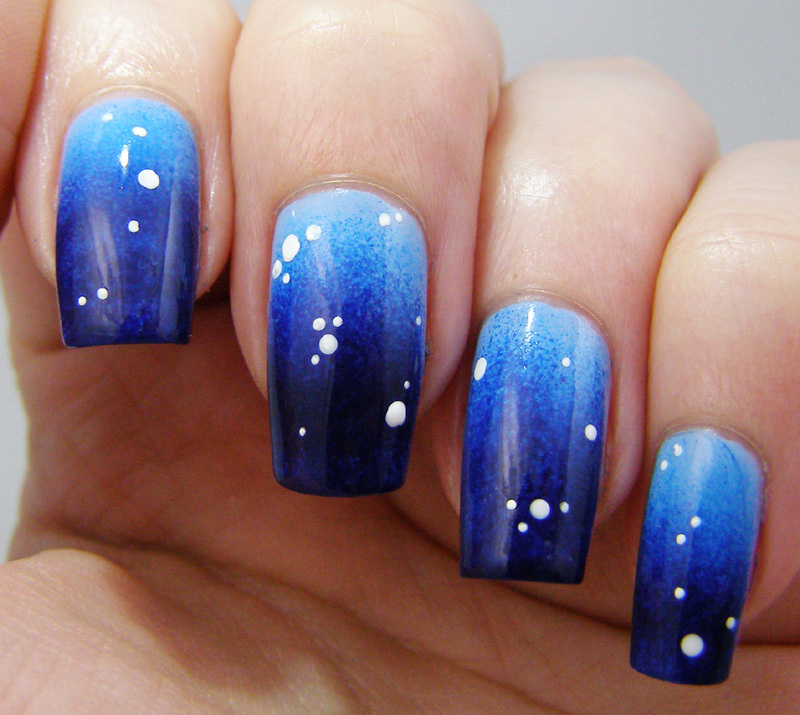 But I've done galaxy nails to death, and decided to do something a little different. Enter constellations! Orion is my favorite constellation. When my oldest was an infant, I saw it a lot. I kind-of grew to love Orion. And it is definitely different! Don't see it? No worries. It's a little abstract. But I promise I was as exact I as I could manage. I've drawn in the connecting lines here, so you can see what I was doing more clearly. why yes, I am a nerd. absolutely love this! what a beautiful gradient! it's gorgeous and I love the idea! thank you! 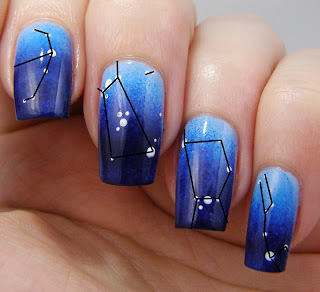 I definitely think I will be doing a few more constellations in the future.